Lack of a proper diet, eating junk food, not drinking enough water, stress, and overexposure to pollutants and toxins in the environment are all factors that can contribute to why you may be experiencing constipation. All these factors can cause your colon to become overwhelmed causing it to weaken and work less efficiently. This can leave you in the market for a colon cleansing product. 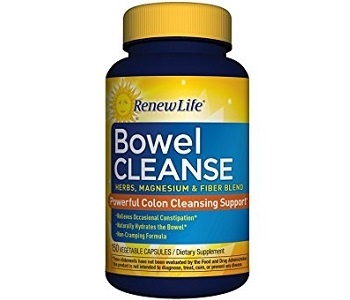 This review is going to take a closer look at Renew Life Organic Bowel Cleanse. 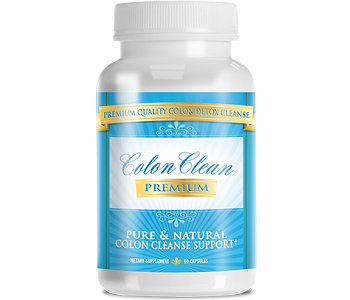 This cleanse claims to offer powerful cleansing support, relieve occasional constipation, naturally hydrate the bowel. It comes in a non-cramping formula that is psyllium-free. They are able to achieve their claims through their combination of herbs, magnesium and fiber blend that have properties that have been associated with making bowel movements regular and easier. Renew Life recommends taking 5 capsules in the morning and you may repeat this dosage again in the evening. The advise drinking plenty of water while using this product. You may take this product consecutively for thirty days. If you are under medical supervision, pregnant or nursing, you should consult with your healthcare provider before consuming this product. They recommend that you immediately stop taking this product if you develop diarrhea or abdominal pain. The manufacturer does not list any possible side effects. We were able to find that side effects commonly associated with taking a bowel cleanse are nausea, bloating, gas, diarrhea and dehydration. This product is available on the manufacturer’s website for $19.99 per 150 capsule bottle. Renew Life offers a 10% discount per bottle and free shipping if you choose to auto order. Renew Life offers a 60-day money-back guarantee that excludes the shipping costs. Consumers reports were mixed, leaning towards being more negative. Users reported that after taking the maximum recommended dosage over an extended amount of time they did not experience any effect. Others were disheartened that it took taking ten capsules a day to feel any effect. This colon cleanse appears to be decent. It contains an extensive list of ingredients that have been shown to cleanse the system and make it easier to have frequent and easier bowel movements. It comes available in easy to swallow capsules. However, the manufacturer’s recommended daily dosage is extremely high. If you follow their daily recommended dosage you can end up taking up to ten capsules a day and one bottle will last you only fifteen days. Consumer testimonials claimed that this product is weak which is consistent with the recommended daily dosage. If you take ten capsules a day and still feel no effect, like consumers have reported has happened to them, it suggests that this product is weak and ineffective. Considering the price per bottle and the negative consumer reviews, this cleanse is too risky to invest in.